1. Would you rather have the power to be invisible or the power to read minds? The power to be invisible...think of the fun/exciting stuff I could do *wink. Besides I think I already read minds pretty well, ask my husband. 2.Would you rather spend the rest of your life without a significant other, or would you rather have a partner who is extremely difficult? Without a significant other, ' cos at least then I could live life on my own terms, rather than spend it in conflict. 3.Would you like to know the day you’re going to die ahead of time? Why or why not? No...because if I did know when i was going to die, the time left would never ever be enough. I would rather live each day as if it were the last one, which unfortunately is easier said than done. 4.What does love mean to you? 5.Do you think it is okay to lie? When would it be alright? Depends on the circumstances. There are a few occasions when telling a little white lie does not really hurt. Though I lie to myself most of the time. 2. Would you rather spend the rest of your life without a significant other, or would you rather have a partner who is extremely difficult? It was very tempting to choose the former but loneliness can be over-whelming. Life with the latter is not going to be easy but if this extremely difficult partner loves me & is committed to the relationship I won’t hesitate. 3. Would you like to know the day you’re going to die ahead of time? Why or why not? Yes I’d like to know. I need the time to pray. 4. What does love mean to you? For me love is about commitment, friendship, about listening, laughter, tenderness, passion, holding hands, instinctively finding each other in a crowded room, trust, making dinner together, a surprise gift, hugging, spending a day with my mother, forgiveness, cuddling with the kids, balance, …….u get my drift. 5. Do you think it is okay to lie? When would it be alright? A lie is a lie is a lie……whatever the circumstances. But it’s perfectly ok to when you are planning a surprise party or have a gun pointed to your head. Personally I never lie…..I just stall, stammer, change the topic, pretend to trip and fall over, snap back, admire the coat the other person is wearing, gesture wildly with the spatula[which is dripping sauce all over], feign amnesia or tell the truth. He is one of my closest friends. In the acknowledgements section of my first book, I have expressed heartfelt thanks to him "for being a rock, morale boosting, giving additional inputs and hand-holding---all this between his very busy life." He continues to do so for the book I am currently writing too.Click on his name to be taken to his blog (which has just one post :) ) But if you're really curious about him and want to know more, I suggest you go here. I would rather be alone than having a difficult partner, without a doubt. As it is, one has enough problems to worry about without adding that to your list. This is not to say that I expect everything to be rosy and fairy-tale-like. There have to be lows to be able to enjoy and appreciate the high points. This is a tough one. While knowing in advance appeals to my meticulous nature and my habit of trying to plan things, not knowing appeals to me as “ignorance is indeed bliss”. The fact that death is inevitable is undeniable. I guess, not knowing when it’s going to come lets you live a fuller life. I think it’s ok to lie when the cause is for a greater good or for helping somebody who’s in real need of help. “Greater good” and “real need of help” are again highly subjective things. And that is a discussion that can extend forever. Some might argue that employing violence to attain peace is futile and hence, the means are just as important as the ends. But to me it’s not so. I am not advocating employing unethical means for selfish ends too. To illustrate, it can be ok to lie to avoid breaking someone’s heart. 1.Would you rather have the power to be invisible or the power to read minds? Even with a guy as sweet and charming as Satish, I sometimes feel like running away to the Himalayas (yeah, my family has heard it many times :)). No way would I tolerate a difficult partner for even 24 hours--I'd run away for sure! :P (and I have been married for almost 15 years which says a lot :)) Life is too precious to waste even a second! Love is unconditional acceptance of another person and the pure warmth, joy and that ecstatic feeling you experience when you think of them. You smile inadvertently :) You forgive anything they do. You want it to last for eternity. That feeling is love. :) It can be love for a mate, a friend, a child, an animal or even a passion for creating things--anything that gives you that feeling is love. Yes--it is definitely okay. (as long as one is not a compulsive liar like Jim Carrey in the movie) It is really cruel to be one hundred percent honest all the time. "Most truths are so naked that people feel sorry for them and cover them up at least a little bit." Seems like if we know the death date, we tend to do less productive work. More of stuff just for ourselves.. no? Gr8 post Preethi, get to the 500 mark soon. PS: i guess the name of the blog reflections was something different b4. I think i have stumbled across her blog before too.. something was oddly familiar about the blog and the writings. 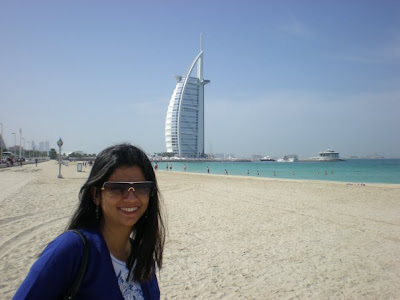 Again, truly enjoyed reading the lovely answers from you, Suma, Reflections and Ajay. 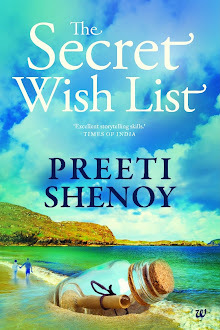 Preeti- I really laughed out loud reading your "flying undetected" on those airlines and your Himalayas trip:-) :-) ! The quote at the end is a nice one. Gayu: Thank you! :-) Running to Himalayas I really want to do at times! :P :) My family says they will run away with me :D Oh yes--that quote is indeed brilliant. Isn't it nice to know when we'll die? I wouldn't mind knowing it because anyhow it's inevitable so then why not? I feel I would then value every second that I've got here, will always strive to be a better person, esp with my loved ones and will never think of taking life for granted. In the future, Preeti I hope you'll come up with more such fun posts. A lot of times there are a lot of things you cannot see the way the other person is seeing. Which creates a lot of misunderstanding only if we could truly understand what the other person is thinking. I would have a difficult partner than have none at all. If there is something between us then such issues will not matter. I would want to know when. This will tell me exactly how much time I have left before I do what all I want to do. A lot of times we put off things we like to do some other day thinking there will come a day when we will do this. We tend to keep saving for the illusion-ed "future" which we may never live for ever. (I'll act my age here and write what I'm currently feeling right now) It means to love somebody so much that it does not matter if she does not. I think a lie is not okay when it is an excuse we give for our inabilities to stand up and face the truth. Other than that we all lie in a lot of situation. It is somewhere wired in us. Gr8 preeti! congrats on your 400th post! keep going!! :) wishing you a happy valentine's day! loved reading the other perspectives...including yours. When you do run to the himalayas, pls drop me a line, i'd come along too..tho i can suggest a better place than the mountains! Lovely answers from everybody ..all those opinions made me look at the situations from a different point of view! Congrats on your 400th post Preeti :) Really great way to celebrate it...I loved your answers and also Reflections'. She seems like such a fun person. It really was refreshing to read so many perspectives. onlycrap: have visited you and left a comment too. Thank you for joining in and sharing. Its always a pleasure to read ur posts Preeti:-))!!!! Oh I love the mountains too...but i was thinking that if i were to join you, might as well make the most of it and erm...paint the hills red! Rujuta: It was a pleasure to visit you--varan phal sounded interesting too :) And thank you so very much for your very kind words of encouragement. Again different reactions from different people. but the running away to himalayas seems to common. Btw your books were stacked prominently amongst books of other indian authors like chetan bhagat in a leisure store closeby home. will read the book now. came here from Nancy's reflections... interesting... cool cool way to celebrate 400 posts... !! loved reading the responses... ! Wow, didn't know Nancy was so popular :) Since that she's become a big shot, I guess it is time to confess that I do enjoy reading her posts. And this was a nice way to have your 400 posts. Very interesting questions and equally interesting responses. Congrats on completing 400th post, and best is u keep coming with interesting post one after another, that truly a gifted skill. Let me also tag(in a day or two) the same set of question, and see i do i end up on being invisible / define love / and most how to lie for a lie. We precisely agree on 1st and 2nd count :). And you have changed my opinion on the third question now. I would want to know. Lucky ones, those whom you love, especially given the definition :). And yay to lies :). And LOL (for you know what) . I loved Reflections answer for number four. Thank you for the introductions to your fave blogs. Raam Pyari: Thanks :)Good luck and may you realise your dream! Congratulations on the 400th post and innovative way you chose to celebrate. First time here. Nice blog!! Solio: Yes you didnt! :) Yeah different perpectives I always find interesting. This was nice too!I think I know what you mean about Reflections (I was going to write Na..., but decided not to, she might even come in my dreams and scold me)...there is something about her, something very warm that makes you want to talk to her! I loved all the answers, yours, same questions but so many views! * How I wish Satish also blogged! * Gillian's answers were my fav. * Nice to read Reflections` answers. Beneath all that humour, I think there lies a very dedicated & serious blogger:D Whatsay u Preeti?! 400 posts..tats amazing!!!.. 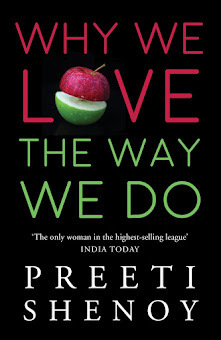 Congrats preeti..
Its always a wonder how u manage time for all as a wife, mother..friend..writer..u give ur best to all. from ur 1st post and i read all ur posts in arnd 3days i guess and ur book too. Sundari: omg--you have read all my posts?! I think I myself would not have read back :) Thank you so much! Encouraging words do make me want to keep writing. Lostworld: Thank U! Will tell satish :)Reflections is indeed very dedicated and she is a wonderful human being too. Sindhu: LOL at what you said about N. :)I agree with you about wanting to talk to her. Yes--all answers were so different from each other--i also enjoyed reading. hopped here coz of reflection's no-comment-post! That was a wonderful way to celebrate your 400th post, Preethi. Congratulations!! Looking forward to your 500th post and your second book too! To say i enjoyed reading your blog wud b an understatement. to say i lived emotions reading them wud be somewhat closer to the truth. u make a super mom and super moms are blessed with super kids and a super hubby 2. i wish u all happinness . there was so much to reflect on as i read the blog. and somewhere i read those lines of minds meeting before physical bodies meeting and felt a jolt. those lines have passed thru my head too, sometime before !!! me, i am 43, a mother of 2 kids(a son- 17yrs and daughter 13 yrs) , a wife to a lovely husband and also a multi- tasking employee of a small firm. Lost my mom in a tragic way 3yrs back(it still feels like yesterday). In fact , i am discovering life only now.i really enjoyed your blog so much that i cudnt wait to write 2 u.
like u,the only friends i hv are from internet, the reast have been either for a reason or a season... i am hopeless in friendships coz i expect sincerity and that these days is a diminishing quality in people, yet i still hope to find sincere friends . philosophy and humour both attract me and i guess your blog has both of these. thanks you for the delightful stuff and hope to see more and more of them. Goodluck always..
Jayashree Menon: I am so completely blown away and humbled by your comment and reply. Thank you so much. My closest friends in 'real life' are not very net-savvy and they do not even read my blog. I met them in person (not on blog) But two more people whom i consider very close friends (Niall and Ajay) I met because of the Internet and subsequently met them in 'real life' too. I do feel blog helps to connect minds like you have rightly said. Sometimes I feel one expects 'too much' from friendships which is the reason why they fail. And sometimes it is just for a reason or season as you rightly said. Happy to connect with you. God Bless. Mridula: Yeah--satish is one smart guy :) I too enjoyed reading everyone's response. Blunt edges: Welcome to my blog :) of course Reflections was being her honest self. Just that on her blog she is so hilarious!